Welcome to All American Mobile Marine. Offering a full range of marine service and repairs for over 16 years. Repairs on all makes of inboard/outboard motors and diesel engines. Gated storage facility and boat hauling. Specializing in fiberglass repairs, complete boat restorations and crew shell repairs. Located just minutes from Atlantic Highlands Municipal Harbor. 337 Highway 36, Port Monmouth, New Jersey. All American Mobile Marine Maintenance, LLC. offers a full range of professional services for boat owners: Expert electrical repairs and electronics installation. Inboard and outboard repairs propeller work. 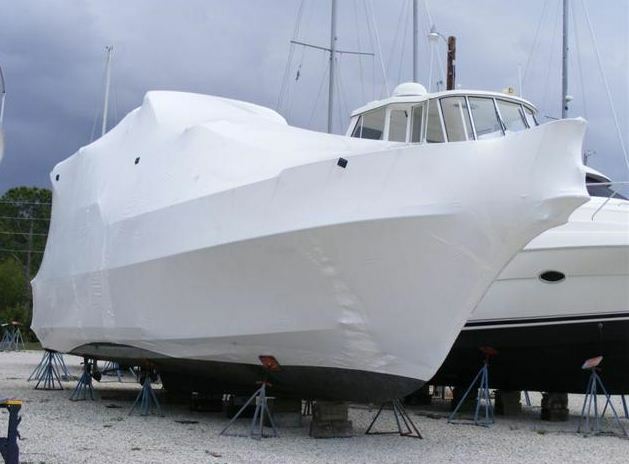 Paint and cosmetics, fiberglass and hull repairs. We can handle just about any job – and handle it right. We are based at 337 Highway 36, Port Monmouth New Jersey, just minutes from Sandy Hook and the Navesink River. When you need us at your location our service fleet is just a phone call away. We service all of New Jersey and the New York Metropolitan area. Schedule Winter Storage and Services Now. Winter is approaching and now is the time to schedule your storage and winter services. We’ll make sure your boat is ready to go for the coming 2017 season and we can perform all your necessary maintenance for a trouble free year.